Microsoft Word has endured many changes over the years. Depending upon whom you ask, some of the changes have been for the better; others, not so much. Throughout all the variations, however, one factor has remained constant: Microsoft has not always made the best choices in choosing some of the default settings. For example, you might not agree with Microsoft's decision to put your files in My Documents automatically. As a result, just about everyone can benefit from making some easy tweaks to their copies of Word 2007 (the version that is the focus of this article). By changing the program to work the way you want it to, you'll get more work done with less aggravation. One of the first alterations you might want to make is to turn on the paragraph marks, which signal the end of a paragraph with the "¶" symbol. These symbols do not appear when you print a document, but for several reasons it's helpful to have them in your documents. First, these marks "contain" the formatting for a paragraph, and you can copy and paste a paragraph symbol to copy one paragraph's attributes to another. Similarly, if you delete the symbol, the paragraph will be joined with the next, and take on its attributes. You might not want this result, so being able to see the paragraph mark may help you avoid deleting it by accident. Finally, some people have the bad habit of using paragraph ends to force lines to break where they want them, which can cause a lot of extra work if you later decide to reformat the document with a different font size or line length. Turning on paragraph marks makes it easy to tell a new paragraph from a mere line break. Choose Display in the left column menu to show the display options. Check the Paragraph marks check box in the section marked "Always show these formatting marks on the screen". Then choose the OK button to accept the change. Now your paragraph marks will show on the screen as you type. Note that this will also show line breaks (which start a new line but not a new paragraph) with an "8" symbol. You can also use the Display options to turn on other handy formatting characters, such as tab symbols. Another niggling problem: By default, Word always puts your new files in the My Documents folder. But you'll likely prefer to save most of your documents to some other folder, depending on how you have your hard drive organized. For example, maybe you write letters that you typically want to save in a Letters folder instead of in My Documents. With the default settings, you must change the destination folder whenever you go to open or save a file. But you can change that easily. You shouldn't have to hunt all over your hard drive to find the file you want to edit. Set your default location to something you'll easily remember. Open the Word Options window, and choose the Save option on the left menu. The top section has the heading "Save documents". In the last line of that section, marked "Default file location", enter the name of the folder that you want to use as the default. In this case, I've entered C:\Letters as the new setting, but you can enter any location you like. Choose the OK button when you're satisfied. You can also use the Browse button to navigate around your hard drive and find the folder you want. While you're on the Save options screen, consider making one other handy change. 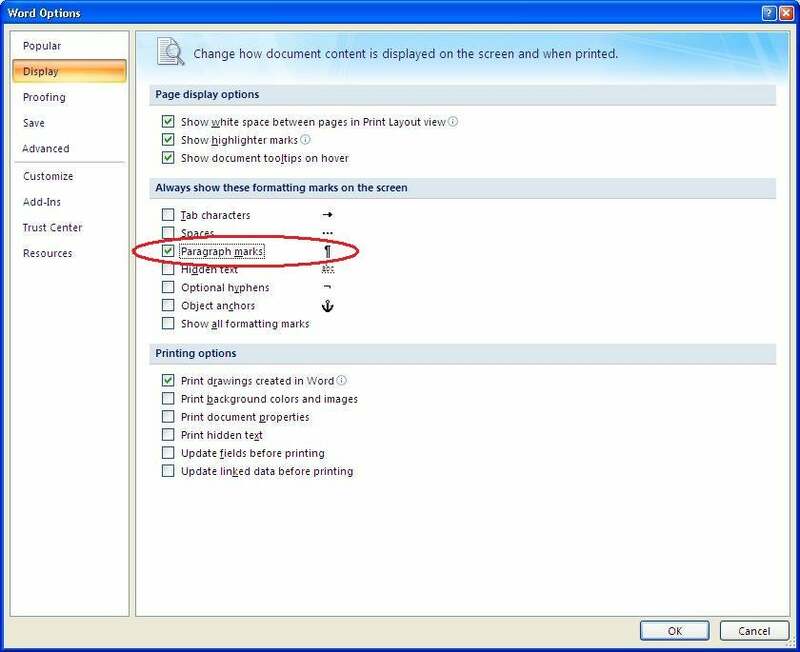 Starting with Office 2007, Word uses the ".docx" file format by default. This is fine if you never have to share documents with anyone else, or if everyone you work with has Word 2007. But if you have to share your files with people who have older versions of Office, they may not be able to read these files conveniently. 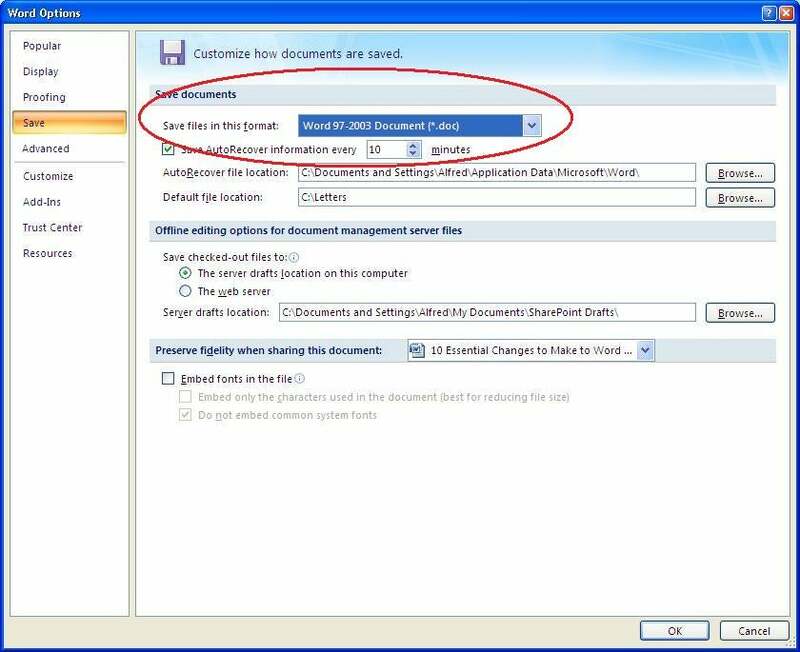 In order to give them a format that they can use, you need to remember to use the Save As command and change the Save as type setting to Word 97-2003 document (*.doc) every time you start a new file, so that you save it in the standard .doc file format. 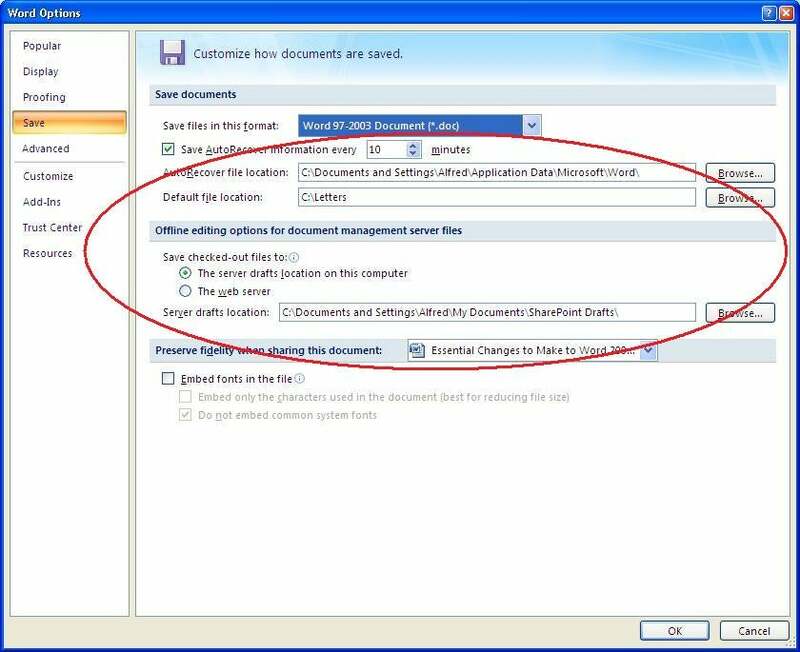 Unless you want to make some enemies by forcing colleagues to contend with the .docx format, you should set the default format to .doc. If you always want to create the older file format, you can make it the default choice by opening the Word Options window, and in the "Save options" section, changing the entry for "Save files in this format:". Choose the format you prefer from the drop-down list, such as "Word 97-2003 document (*.doc)". Choose OK, and the next new document you create will be saved using this format by default.